We believe that home is the foundation for our lives, and it should provide an atmosphere of contentment and calm where individuals can thrive. Yet for many families in the United States, the concept of home seems out of reach. In April, our nationwide Home is the Key campaign brings together sponsors, community leaders and supporters like Habitat Humanitarians Drew and Jonathan Scott to unlock futures and change lives so that even more families have access to decent housing. Each year through Home is the Key, we hope to create an outpouring of generosity. We hope to see the doors of opportunity open in partnership with people in search of strength, stability and self-reliance. 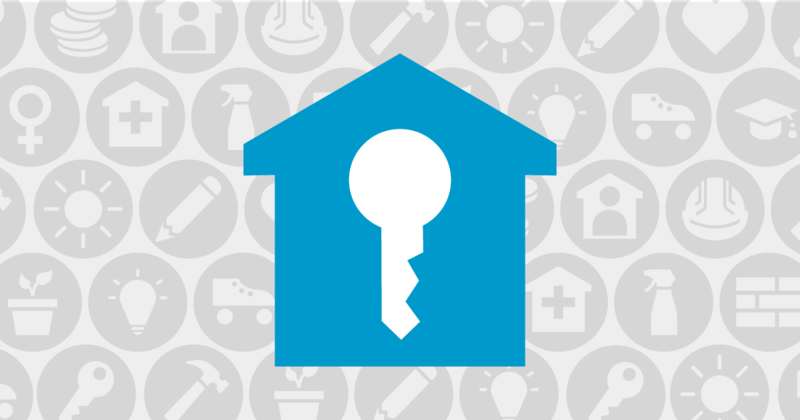 You can help us continue to unlock the future for families and by spreading the message that #HomeIsTheKey. Tour our interactive house to discover inspirational videos and stories about our Home is the Key homeowners, volunteers and partners. "Being a homeowner is going to be exciting. Being a homeowner is a blessing." Future Habitat homeowner Krushetta can’t wait for her sons to have a yard of their own. Thanks to the supporting partners of Habitat's 2019 Home is the Key campaign. Learn more. The multi-talented Drew and Jonathan Scott receive Habitat's highest honor. Home is the Key: We create strength, stability and self-reliance through shelter.